While I love Instagram more than I can say, I'm yet to find my way through it. I don't take as many pictures as I'd like because I have a hard time finding the right angle, and I haven't found my photographic "voice", if I can say so (you can find me on Instagram here if you're curious!). Fortunately, following instagramers is just as addictive as taking your own photos. Some people have such a unique, creative, inspiring way of creating a visual atmosphere- there is no end to talent and imagination. I'm still looking for new users to follow, and would love your suggestions if you have some! And if you're interested, here are 5 of my very favorite Instagram accounts (in no particular order). @pomverte's pictures always make me happy. Her world is colorful, playful, imaginative and light-hearted, and each of her shots is an enchanted vision. 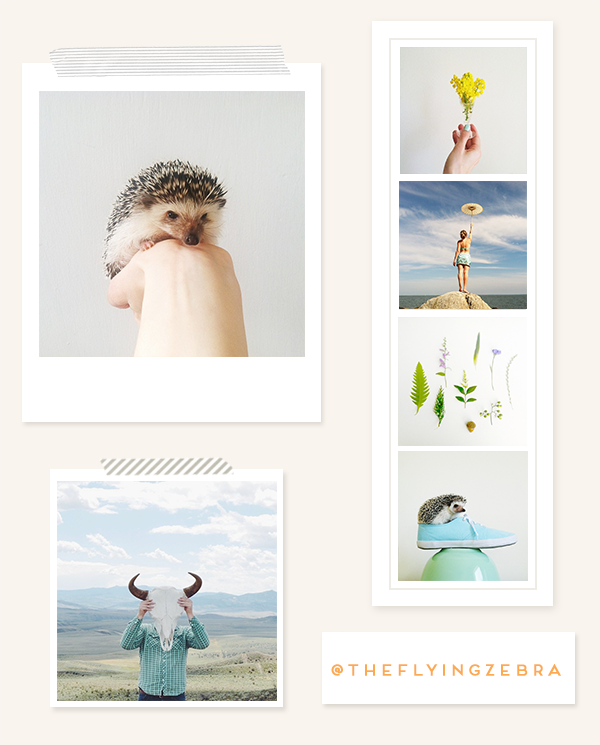 Stella Maria Baer of @theflyingzebra has the most adorable hedgehog and certainly knows how to capture a mood. Filled with blue, teal and neutral colors, her shots are an ode to the true beauty of nature. Seeing @confettis' shots in my feed always makes my heart sing. 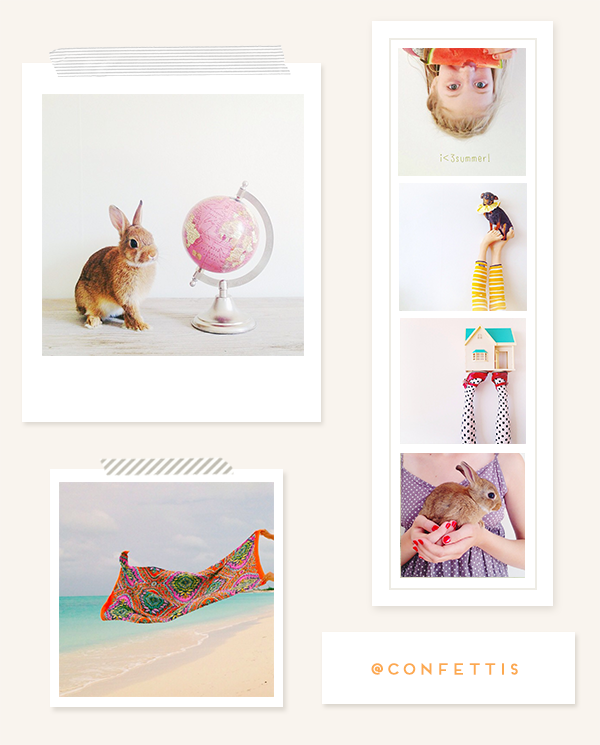 The styling is impeccable and how can you not smile at polka dots, stripes, bright colors and the sweetest bunny? If you don't like pugs, chances are this one isn't for you- or maybe you'll love it anyway, because it's that awesome. 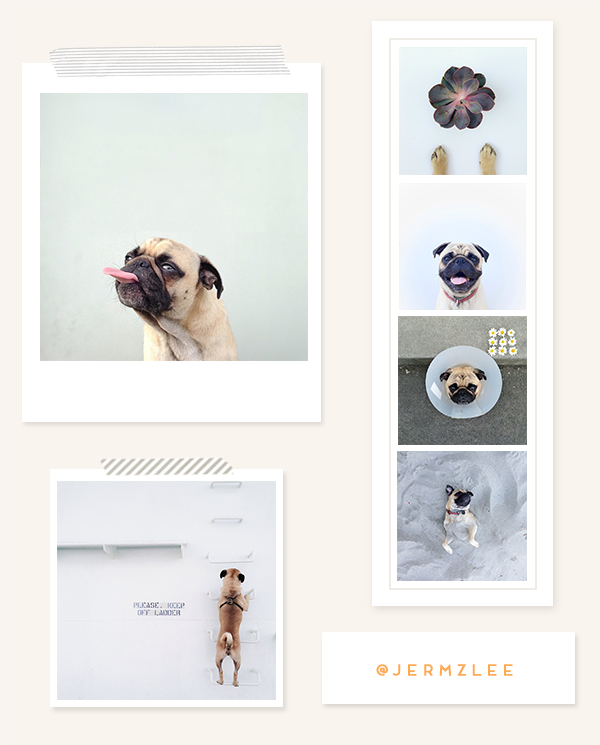 I'm amazed at how many photos Jeremy Veach of @jermzlee can take of his dog without it becoming boring or redundant. It's all in the creativity! 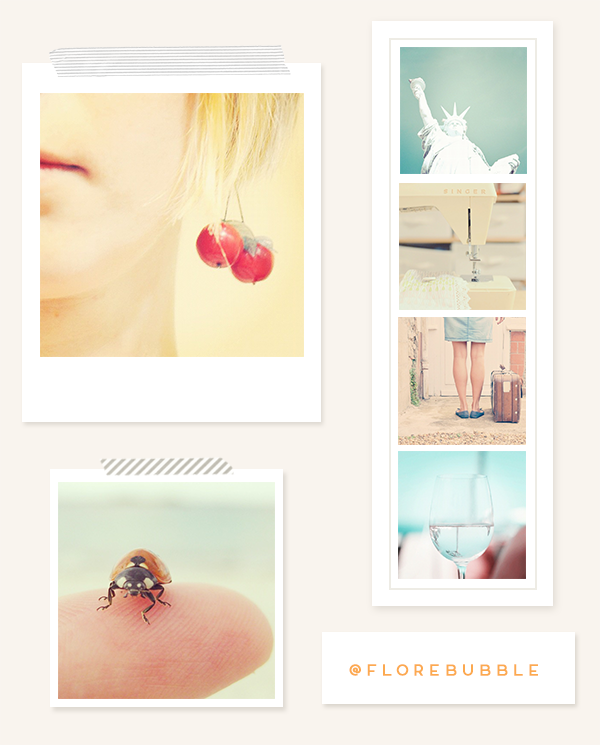 Last but not least, @florebubble's photos are filled with pastel colors, perfect light, and a pinch of nostalgia. Each picture is an open door to a new dream or a new story. So there you have it: 5 accounts to follow (if you don't already), that are sure to make you smile or daydream, even if just for a second. Hope you'll enjoy them as much as I do! Layout inspired by Paislee Press. Thanks for sharing :) Now i'm following them too! They look lovely! So much talent! These are so airy and refreshing! Thank you! Love these! I will definitely check out these accounts.Thank you for sharing! Thanks for sharing. I am an instagram newcomer and I must say, I like it a lot. So many wonderful things to explore. I think I have to look right now at "florebubble"
Ooo, thanks for the suggestions. I'm hopelessly addicted to my Instagram (http://instagram.com/miribirdillustrates#) and I'm always looking for new people to follow. Following you now too! Thanks for the link- such beautiful llustrations, I love your coffee cups print! you have good choice! love all of these :) will be following later! Thank you for the link! Her feed is so beautiful! I'm now following her. And I hear you on the difficulty to maintain one style, one palette, a cohesive aesthetic... I can't do that either, but following those who can is truly inspiring- although candid, everyday shots have their charm too! thanks so much! 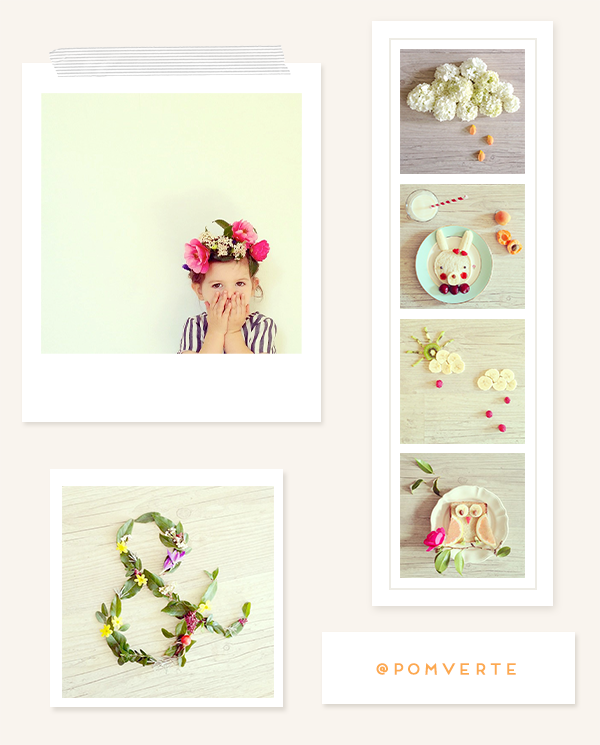 i can't get enough of instagram and i can't wait to go and follow these! thanks for the suggestions. P.S: by the way, what program do you use to do the collages like you did in this post? i love them! Thanks for leaving your instagram username Jenna! It looks like your feed is private, so unfortunately I can't see your pictures. I used Photoshop to make the collages, and the masking tape strips are from Paislee Press.